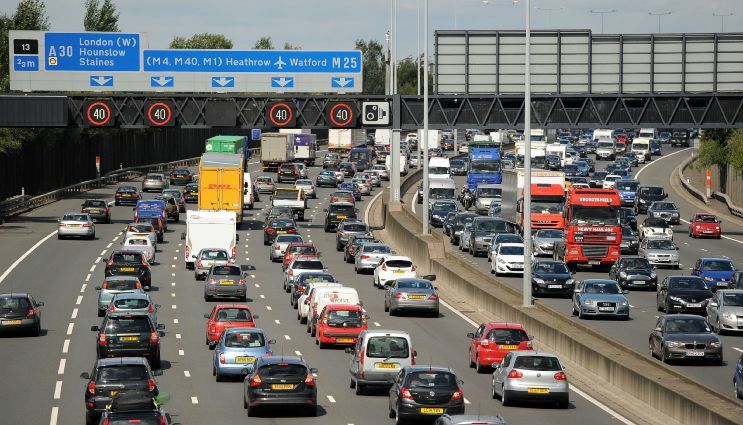 Embargoed to 0001 Thursday August 25 File photo dated 22/8/2014 of motorists start to queue in heavy traffic on the M25 between junction 12 and 13 near Egham, Surrey. Millions of Britons are set to go on holiday over the bank holiday weekend, tourism bosses have said. According to reports, the Association of British Insurers (ABI) figures indicated the number of motor-related personal injury claims fell from 365,000 in 2013, to 342,000 both in 2014 and last year, while the average cost of the claims, including damages and legal fees, has fallen from a high of £11,365 three years ago to £10,738 in 2014 and £10,614 last year. Pressure is now mounting at Westminster for insurers to explain why, after being granted an overhaul of the rules relating to whiplash claims, the huge savings are not reflected in reduced premiums for UK drivers. Philip Holt, head of SRB’s clinical negligence department, commented that; “It will be interesting to see how government acts on this information, which has in fact previously been made available to the government for a quite some time by organisations such as the Law Society and the Association of Personal Injury Lawyers. Particularly in light of further proposed cuts and changes, which include further fixed fees for lawyers pursuing cases on behalf of injured clients, a proposal to raise the small claims court limit, which is an attempt by the insurance industry to remove lawyers from the equation altogether, and an equally unjust proposal to abolish damages for cervical soft tissue injuries (‘whiplash’) claims altogether”.